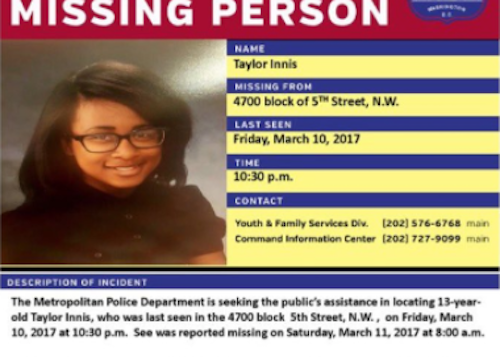 Of the juveniles reported missing in Washington D.C. since January 2017, 37 remain unfound according to a Huffington Post study of tweets and press releases. Those 37 missing young people have two things in common: One, all of them are black or Latinx. Two, the mainstream media isn’t talking about any of them. And recently, 10 teens of color went missing over a 10 day period, aged 13-16: Jacqueline Lassey, Yahshaiyah Enoch, Antwan Jordan, Juliana Otero, Dashann Trikia Wallace, Aniya McNeil, Dayanna White, Talisha Coles, and Morgan Richardson. Eight of these teens are black girls. Yesha Callahan first wrote about #MissingDCGirls on March 12th, 2017. Callahan’s article for The Root, and the now-viral tweets from @BlackMarvelGirl featuring missing persons information for the eight missing D.C. girls, have spread some awareness of the issue online — but the silence of society at large is deafening. Officials in D.C. held a town hall meeting Wednesday to address the public’s concerns about the missing girls. Mayor Muriel Bowser and acting Police Chief Peter Newsham, were in attendance. “There is no case being swept under the rug; there is no child being left behind,” Bowser said. Twitter user DC Maryland Virginia posted a photo of the town hall, pointing out that the room was filled entirely with people of color. 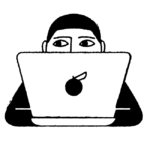 "Even in a city noted for its rising gentrification, there was not one white face in the crowd," wrote Callahan for The Root. PBS reporter Gwen Ifill coined the term “missing white women syndrome,” to describe the media explosion that comes when a young, white, middle- or upper-class woman goes missing. Prime examples of heavily-covered missing person cases include that of Natalee Holloway and Elizabeth Smart. Where is the wall-to-wall coverage on missing black and brown women and girls? In American culture, why do white faces make more compelling narratives for the media than faces of color? We have a responsibility to ask ourselves these questions.